Hey, we’ve all got ideas to save California from its cataclysmic drought. Stop fracking! Stop showering! Stop eating! 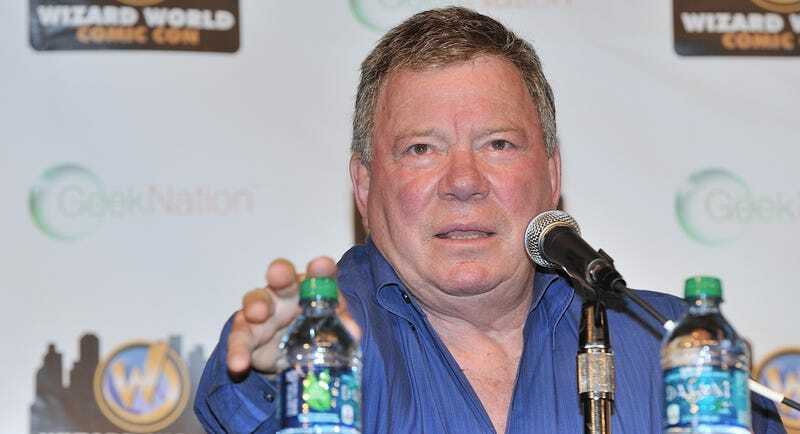 But none of us is William Shatner: Enterprise captain, Priceline spokesperson, Twitter watchdog, and probably, definitely, most certainly not a water expert. This is not preventing him from proposing a $30 billion solution, including a crowdsourcing website to find the best way to do it. No Kickstarter has surfaced yet, however, he’s just launched a website— Shatner’s Water—to act as a kind of brain dump for solutions. Current ideas range from a dude who wants to ship water across the state in maglev trains to a rep from Indiegogo begging Shatner to bring this project to their platform for crowdfunding (sure, he said Kickstarter but he didn’t mean it). Nothing at all against crowdsourcing. At all. It’s been used to help with everything from finding lost planes to stopping oil spills. And Shatner’s prolific tweeting will surely draw the masses to the site. And there might be some really good ideas! But it’s hard to see how this could possibly be useful when he’s starting the brainstorm with such an outlandish idea in the first place. Besides the fact that $30 billion is not nearly enough to cover the price tag of such a thing, Shatner’s plan has two major issues. First of all, um, hey, Washington is having a drought, too? Second of all: This is not an original idea. In fact, there’s a completely serious proposal from the 1960s to do pretty much the same thing Shatner proposes, except the water is supposed to come from Alaska via a series of river diversions. If anything, Shatner needs to be calling up the folks from the North American Water and Power Alliance who have an extremely detailed plan, updated as recently as 2012, that’s all ready to go. They could probably also tell him why it has remained in the proposal phase for 50 years.